We decided to retain 4 routes that we particularly appreciate the fact they are affordable for beginners who will adore the greatness of the landscapes and also the ease at the level of the effort. Very certainly, the most mythical of our hikes! Embark and navigate freely along the beaches, coves, cliffs and historical sites. A true discovery and a breathtaking view on these well-known sites and which are part of the heritage of the French Riviera. 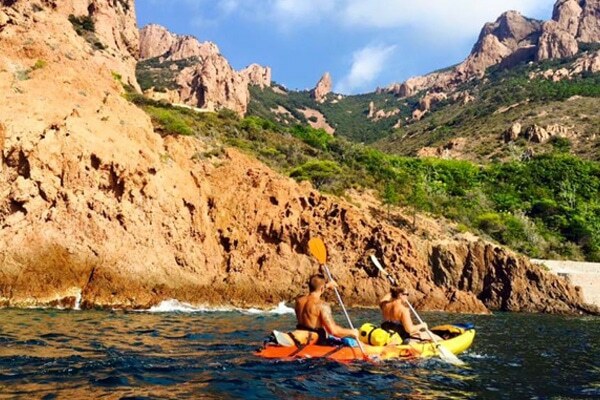 Navigate in stunning landscapes, isolated coves where you will be the only benefit, an unforgettable ride in total harmony with the fauna and the flora, Paradise of the kayakers, the journey that we are proposing is a rosary of rounded rocks, red, pink, green, bluish, that interrupt the beautiful coves with blond or white sand, depending on the vagaries of this nature full of marine scents and plants. This kayaking, will be interspersed with a lunch break in a creek or you can indulge in the swimming with palm and snorkel in order to discover the beautiful seabed. 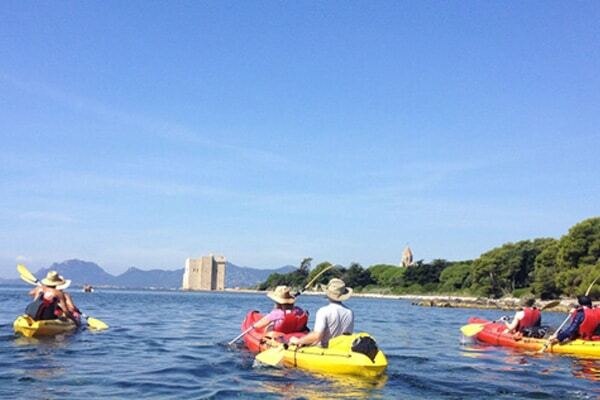 This day will make you discover the wild coastline of the French Riviera under a new angle. A day… To live and share! Important, you need to know that each hiking performed and framed by the team of Go kayak is carefully studied and tested, this means that the courses are adapted to the level of the practitioners , the weather is studied during the last three days before your outing. The trip is systematically canceled if all the conditions are not fulfilled so that your day may be a successful one.